Even the most experienced professionals can save time and money with the proper selection and application of tape, says Kacie Baon, category manager for ShurTech Brands LLC, maker of FrogTape brand painter’s tape. Whether you’re a large-scale operation looking for economies or a small business searching for a competitive edge, it’s key to find the right tape for every job. While there are plenty of specialty tapes available for unusual surfaces or situations, Baon says, the vast majority of painting jobs use these four categories of tape. “Choosing the right one for the application will make your job easier and ensure great results,” she said. Production-grade painter’s tapes: The basic tool for masking durable surfaces like wood, tile and carpet. 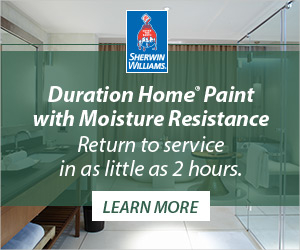 Use it for taping down protective floor coverings, for spraying applications, and for new construction projects, but not when clean lines and detail work are on the schedule. Professional-grade multi-surface painter’s tapes: A category with a variety of products that can be used on cured painted walls, trim, glass, wood and metal. These easy-release products deliver clean paint lines but lack the precision of edge-treated tape. Premium edge-treated painter’s tapes: These top-of the line tapes are specifically designed to stop paint from bleeding under the edge and spoiling fine detail and edge work. Products like FrogTape brand painter’s tapes ensure sharp lines every time, on both regular and delicate surfaces. 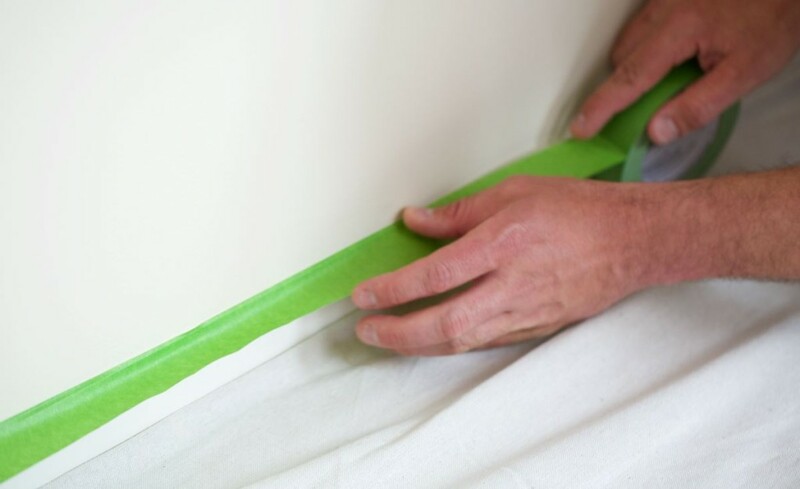 Ensuring painter’s tape performs as promised is as easy as 1-2-3. Clean your surface. Make sure it’s dry and dust-free for good adhesion and clean lines. Apply your tape to the surface. Unroll the tape in one long section, keeping the roll flat against the surface. Avoid stretching the tape. Eliminate gaps and seal edges. Go over the edge of the tape with a firm plastic tool, like a putty knife, to ensure a clean edge. Like any adhesive, tape is susceptible to environmental and physical stressors. Heat, moisture, light, and even oxygen can affect the chemistry of the adhesive and shorten the tape’s life span. Baon recommends protecting your tapes by storing them out of direct sunlight, heat and moisture.